Area 8 comprises the western boundary of HHWNC which borders Laurel Canyon Blvd. As such, our stakeholder priorities are cross mountain traffic volume and speeding violations, fire and crime prevention. Since the Mt. Olympus comprises the largest group of residents in our area, we work closely with its established Property Association for common goals. Come out for some family friendly live music, food and drinks on Sunday, July 22nd between 12pm and 8pm at Laurel Canyon Blvd. and Kirkwood Drive. For more festival details go to https://www.lovestreetfestival.org. 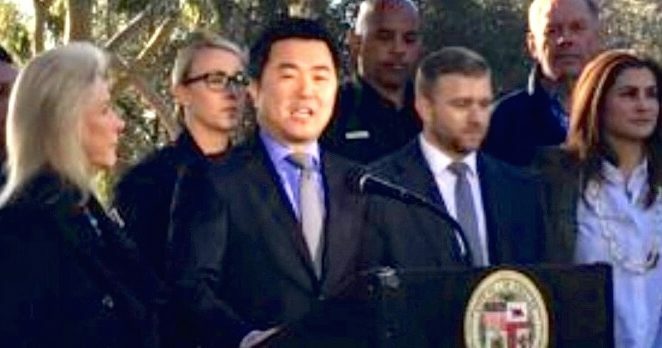 Councilmember David Ryu shares our community’s concerns over the 8150 Sunset Blvd. development and encourages the City Planning Commission to make certain changes to the project before it proceeds.